How to stop breastfeeding and when to stop breastfeeding are the main doubts for any mom who is breastfeeding her baby. It was same with me. I wanted to stop breastfeeding without much stress. At first my mother helped me weaning from breastfeeding and she used the method of changing attention of my son when it was feeding time. She took my son out and introduced other food before he started asking for breast milk. So, this story is about how I stopped breastfeeding my son completely using organic tea. I am proud of breastfeeding my son for more than 2 years. At the same time I am proud of stopping breastfeeding without hurting my son or without making me sad. Earth Mama Angel Baby Organic No More Milk Tea helped me a lot to stop breastfeeding without making my son crying. So, I want to share my experience with you all as it can be the best way to stop breastfeeding without emotional changes. Here is my story of stopping breastfeeding. We did it in two stages. Actually I wanted to breastfeed him for 2 years. So we didn’t take actions when he was too young. When he reached 18 months, my mother helped me to wean from day time breastfeeding. It was a really unhappy time for me. I couldn’t bear when he was crying asking for breast milk. But, I had to control it. Very sad moments for me! Anyway, we could finally stop breastfeeding during day time after few days struggle. After weaning breastfeeding for day time,my mother went back to Sri Lanka. Now it is 2nd stage. That is to stop nighttime breastfeeding. Each day he was eagerly waiting for night time as I gave him his first feed at around 7pm. When it is time to stop breastfeeding completely, I didn’t want to hurt him anymore. I didn’t want to undergo the same experience during the weaning process. So, I searched online for a way of reducing my milk supply. I thought it would be nice if I don’t have milk, then my son will fed up and stop asking for milk. For my luck, I found this product Earth Mama Angel Baby Organic No More Milk Tea from iHerb. As the product says, it helps to stop production. I searched for blog reviews for Earth Mama Angel Baby Organic No More Milk Tea. But I couldn’t find. Instead I only found reviews in Amazon and other such online shops. 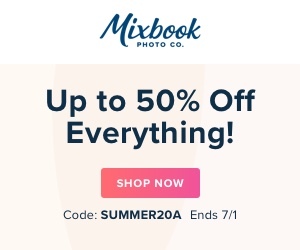 Well, I usually strongly believe blog reviews with actual product photos before I buy any new product online. Although I couldn’t find any blog reviews for Earth Mama Angel Baby Organic No More Milk Tea, I bought it through iHerb as this product is natural and organic. Okay, up to here what I shared was my true story of finding Earth Mama Angel Baby Organic No More Milk Tea and how I wanted to stop breastfeeding without making my toddler crying for breast milk. Now, here is the review of Earth Mama Angel Baby Organic No More Milk Tea together with product details. Earth Mama Angel Baby Organic No More Milk Tea is a blend of natural herbs that help reducing breast milk production. Herbs include Sage, Peppermint and Parsley which are used for stopping breast milk or for weaning from breast milk from ancient days. It is certified Organic, Non GMO product which is made in USA. I ordered one pack of Earth Mama Angel Baby Organic No More Milk Tea from iHerb which contains 16 small tea bags of 35g each. The product says to use 1-3 cup daily. However I only used one cup on my first day as it is a new product for me. Then I continued taking it daily one cup a day. My results were amazing. On the 3rd day I noticed I don’t have much milk. My milk production was slow. At the same time, I continued breastfeeding my toddler, however I started talking with him about milk. He started telling,’amma doesn’t have milk’. Sometimes he showed bit anger or stress, I understood it is because he didn’t get milk although I breastfed him. Gradually he understood I don’t have milk anymore and he started asking for formula. I could wean him easily giving him a reason which he believed. He knows I don’t have breast milk any more. He knows there is no reason to cry because his mother doesn’t have milk. Our weaning process was really comfortable and smooth. I am happy I didn’t make him crying for breast milk. That is why I wanted to share my experience of stopping breast milk with others as this can be helpful. Preparing Earth Mama Angel Baby Organic No More Milk Tea is easier. I used it as a warm cup of tea by steeping in boiling water. The appearance is reddish. The taste is not so good but not so bad too. This tea is with mild tangy taste which has some fragrance or feeling of peppermint. Overall it is a good product which I loved drinking. I also didn’t throw the tea bag after first steep. I used water again on it and had 2nd and 3rd steep. Before I finish drinking all the 16 tea bags, I could stop my breast milk supply. I didn’t notice any side effects when I use this tea. I also read on some sites that there may have hormonal changes when you stop breastfeeding. I couldn’t notice anything during this period of weaning. We really had great time and smooth weaning process. How to buy Earth Mama Angel Baby Organic No More Milk Tea? If you look for where to buy no more milk tea,here are the details. I bought Earth Mama Angel Baby Organic No More Milk Tea from iherb. 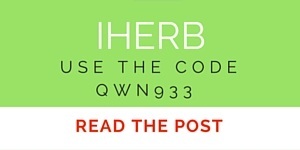 You can also use the iHerb coupon code QWN933 and get $5 off from your first order. Actually this iHerb coupon code is enough to cover your product cost if you buy it from iHerb. Check the details of Earth Mama Angel Baby Organic No More Milk Tea here. You can also buy it from Amazon. Read all Amazon reviews of Earth Mama Angel Baby Organic No More Milk Tea here.